Discussion in 'iPhone' started by Steviejobz, Sep 12, 2014. Yes, because I prefer the larger screen, and everyone must prefer what I prefer. If you can deal with the size it truly is the better phone of the two. Someone mentioned that the phone is just taller than a personal size checkbook. I imagined a full checkbook (checks only, no cover) was the phone today, and it didn't seem too bad. I was surprised. I even order a 6. I order a 6 Plus on an additional line, but it will take 3-4 weeks. I may give one to family or return one *IF* I find one or the other that much better, but that is not my intention right now. We simply have no baseline right now. Therefore, I will get two of our lines on each phone, and then decide if they will serve both users nicely, or if both should be Plus, or if both should be small. I'm not sure we can say that with certainty yet. Optical Image Stabilization is a big deal undeniably. But there are some other things going on under-the-hood that may make it a lesser experience overall than the iPhone 6. We won't know for sure until the reviews are out next week, and some of us ourselves have had a chance to play with both devices. I'll take a Nexus 6,at least it will have new features. I remember when Brittney Spears was the #1 artist in America and people were telling me her album was "must have". lol .. I didn't expect to find a comment that would illicit real laughter! Does this mean my iPhone is going to shave its head and get married in Vegas? Don't be hating on my Brit Brit now aha. In day to day use, I doubt you would be able to tell any performance difference other than the fact that the PLUS is harder to handle. This poll was posted on reddit today. These are the most current results, with just under 2,000 responses. Also bad battery life, a craptastic cellular connection, and a shoddy Wi-Fi connection. Nexus phones are good, but after use, it becomes obvious where Google has cut corners to keep the price down. You are stupider for reading USA Today. You've been warned. Optical image stabilization, superior battery life, and full HD are enough for me to wholeheartedly feel the Plus is better overall. Now, if the 6 also had a 1080p screen and OIS it would be a different story. Until benchmarks show its slower, because it has to do a lot more processing. then 2. sampling that down 15% to the actual 1080p resolution. And blurry low light photos. OIS compensates for photographer hand motion for shorter shutter, thus more light captured..., but doesnt account for subject movement. So people, animals, such will be blurry with slower shutter. I have used a bigger phone on and off. After a little while with it, feels weird going back to my 5s. Doesn't take long at all to get used to them. I've been jealous of big Android phones for a long time. They are very nice, beautiful HD screens. I play with them at the store and then look at my puny 5 and have screen envy. But iOS won me over. So I picked the 5. But I still had screen envy. I'm glad Apple finally released a big phone with a real HD screen. Now I have the best of both worlds. HD and iOS. The thread title, and the news article, are misleading. We don't know how many iPhone 6+'s were available for preorder vs iPhone 6. 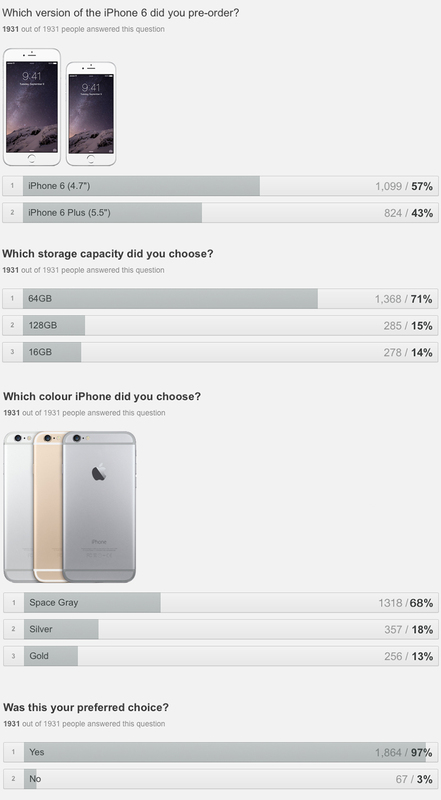 Without knowing that it is impossible to tell if the 6+ has so far outsold the 6. Will the 6 Plus play Hearthstone? That would be sweet if it does! I like you. Have an upvote. Another guy who buys into the SMALL differences Apple pointed out to sell the phone.